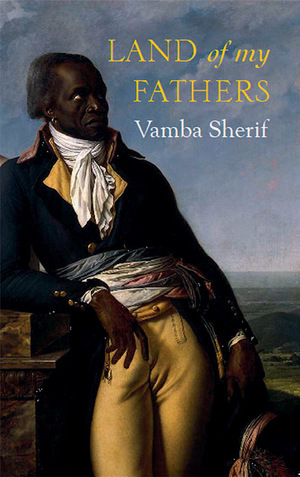 This admirable novel from one of Liberia’s foremost writers is certainly ambitious in scope, beginning shortly after the establishment of the Liberian state by freed American slaves in the 19th century and taking us right up to the recent strife in that country. We begin with Edward Richard, ex-slave and preacher, who sails to Liberia in search of a lost love. Once established in the country, he travels to the interior, moving from village to village among the indigenous people who have an edgy, fractious relationship with the newcomers. In the far north, he befriends a tribal leader, Halay, who is to play a central role in the turmoil and violence to come. Halay sacrifices himself in the belief, shared by his people, that his death will prevent war coming to the land. How that compact is tested and finally, in two bloody civil wars, rent asunder is the subject matter of this book. The story is told through the chronol­ogies of the protagonists and there is much evocative writing here, particularly in the stories of Edward and Halay’s respective childhoods. If the time-line is occasionally a little confused and confusing – dwelling on tiny details then jumping forward years – this does not really detract from a novel where atmosphere and mood predominate over plot. Land of my Fathers is a fine novel with much to say about colonialism and community, the sense of place and the universal need to belong. 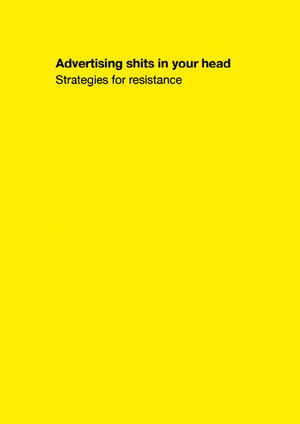 Advertising shits in your head provides alarming research and theory on the effects of the industry; a history of subvertising (going back to the early 1970s); advice about how to take part (including legal information) and several stunning case studies. Essential reading for all who want to fight back against ‘the most powerful and sustained system of propaganda in human history’. As the author says in his introduction to this thought-provoking book, the idea of freedom is everywhere in society. From free trade to free speech, free will to free thought, the concept saturates the way we think and behave. However, Martinez argues, once we begin to question the assumptions we are brought up with and examine the reality behind the rhetoric, a darker picture emerges, in which we are much less free than we imagine. Martinez structures his argument around the concepts of ‘The Lottery of Birth’, which interrogates the principle that we are free to make informed decisions in a world of our choosing, and ‘The Illusion of Consent’ which challenges the conventional wisdom regarding the freedom of elections, markets and media. He draws on a wealth of examples in challenging these sacred cows, from Orwell to Chomsky, Stanley Milgram to Joseph Stiglitz, and his argument is sound and persuasive. 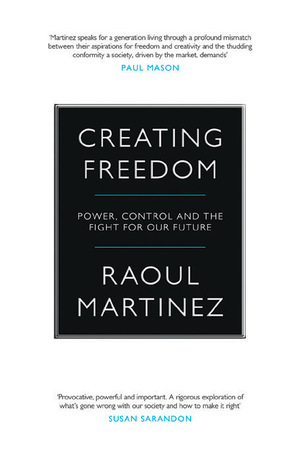 Having established the limits of our freedom, he proposes a manifesto for expanding its boundaries, which encompasses, but is not limited to, the notions of creativity, knowledge and empathy. In February 1897, over a vegetarian lunch in Boston, three women formed a rebel cell called The Sensible Skirt Vindicators and resolved to wear their spring outfits ‘a daring six inches from the ground’. 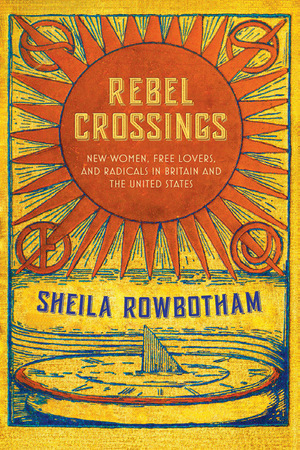 Feminist historian Sheila Rowbotham’s collection of interweaving biographies of six activists excels in such details that illuminate the lives of free-thinking pioneers – four women, two men – on both sides of the Atlantic. Rowbotham has long been fascinated by the self-educated shoemaker poets, the wire pullers and the bold individuals who first embraced socialism in Victorian Bristol and tried to create a co-operative, freer society. Rebel Crossings is the culmination of lifelong scholarship. It’s a labour of love and exhaustive archival research, with notes running to 70 pages. Luckily, the author’s curiosity is catching. The brave and precarious lives of Helena Born, Miriam Daniell, William Bailee, Robert Allan Nicol, Gertrude Dix and Helen Tufts draw you in. But the book is as much about the ideas and influences – which ranged from anarchism, communism and unitarianism to Walt Whitman, William Morris and the occult – as the meandering fates of these idealists. Rowbotham’s ‘little group of rebels’ may have lived long ago but their collective kitchens, their attempts to reimagine desire and meetings plagued by destructive intruders, will be familiar to any radical today. And as the author notes, their ‘liberty, love and solidarity’ are ideals that our contemporary society sorely needs.